Uniquely, the garage encloses one side of the hospital’s iconic new garden space, and also houses retail space on the ground floor for cafés and shops that open onto the garden. 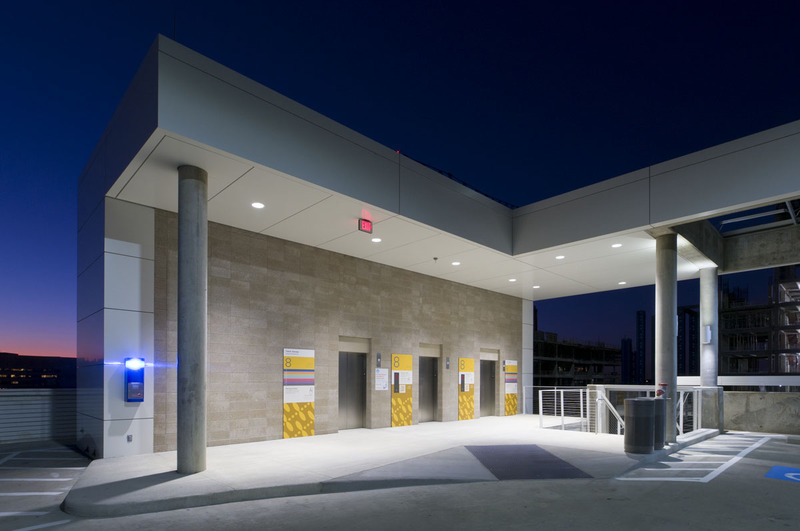 The Parkland Parking Garage facilitates capacity for 2,000 vehicles at the new Parkland Hospital campus. 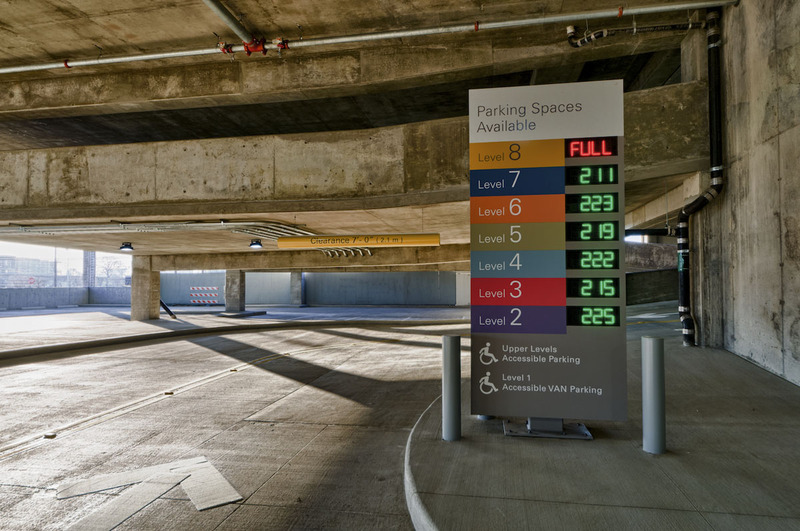 Nine levels high, the garage has been designed with all the parking spaces on wide, level floors. A double helix of ramps at one end of the garage allows cars to efficiently ascend and descend, and eight lanes of entering and exiting traffic streamlines traffic in and out of the garage. 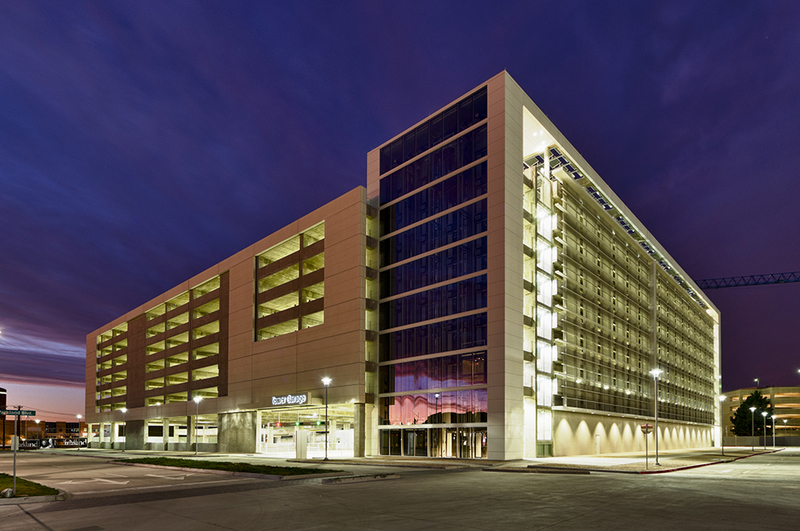 What makes Parkland Parking Garage most unique is its LEED Gold Certification—highlighting its sustainable design. LED, or Light Emitting Diode, fixtures are more energy efficient and have a longer lamp life than the more commonly used incandescent and fluorescent bulbs of similar lumen output. 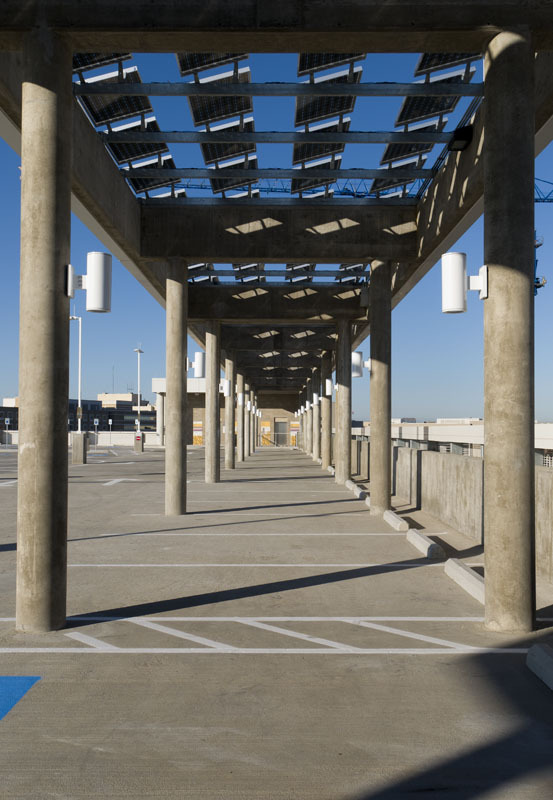 Although more expensive initially, LED technology can significantly reduce the operating cost of lighting on the project.